Students, readers and writers always hire libraries to read and take books for free. People having passion to promote knowledge and education can start a public library in order to bring out this. A public library can be opened anywhere in a country even in other countries. A library can also provide a particular topic like the library at museum or at church. No matter wherever you start it with some hard work and purpose you will be able to succeed in this wonderful business. 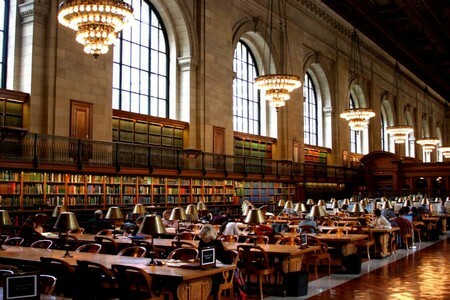 Public libraries are places where people gather and they are the sources of adequate knowledge. They are the institutions which forms the heart of every community. You can ask for donation of books. If your public library is going to serve specific group of people then you can also ask for those book topics in donations. You can have separate shelves for those donated books. Sometimes donations are amazing or can be outdated also. Many organizations would be willing to help you to start a public library. Hence you can ask for monetary donations. Create different sections in your library like fiction, non-fiction, story books and puzzles which will motivate local businesses and organizations to donate books to your library. Once you have enough material you can organize your library. Decide how you want it to be displayed and organized. When you start buying shelves for your books it is cheaper to buy it at office supply centers. Compose a catalogue system in order to make note of which books are paced where in your library. The best catalogue systems to be used are The library of congress and The Dewey decimal systems. Have applications for new members so that you are having their name, address and phone number available in hand. Create a membership system which will provide a different membership number and card. Write that membership number on the book’s card to have it for reference in case they are late. Advertise your library through newsletters, classified ads and postcards. Hold different events in your library and get each event printed in local newspapers so that the public will be aware of the subsequent events which will get more people into your library. Obtain a yearly fee from your members so that you can get a monetary gain for your operation, books, supplies and other things. This will help you to buy new things for your library like computers, more books, special programs and other items.